According to sources close to the project who spoke to the New York Times on condition of (quite ironically) anonymity, the app moves away from Facebook's encouragement of its users to share as much real information about themselves as possible. 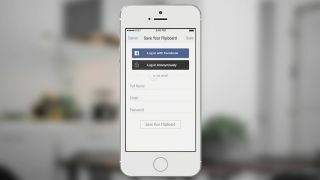 Instead the app is designed to allow Facebook users to use multiple pseudonyms to discuss topics that they might not be comfortable talking about while using their real names. The project is being led by Josh Miller, who joined Facebook when it acquired Branch for $15 million. Branch is a platform for hosting and participating in private invite only conversations, and it is thought that Facebook's new app could be an extension of this. The app could also be taking a leafy from message boards and online communities such as Reddit which allow users to post subjects and participate in discussions using anonymous user names. Exact details on the new app are scarce, and neither Facebook nor Miller would comment on the leaks. We still don't know how the app will integrate with Facebook (if at all), or if users will also be able to post photos and images anonymously. There will be a lot of people watching how Facebook handles anonymous posting, with the social networking site already under scrutiny for how it can protect its users from online bullying and abuse. And of course, there is a worry that allowing people to post anonymously behind a user name may encourage online harassment. It's clear that Facebook is aware of these concerns, with Chris Cox, the chief product officer for Facebook, writing in a blog post that "The stories of mass impersonation, trolling, domestic abuse, and higher rates of bullying and intolerance are oftentimes the result of people hiding behind fake names, and it's both terrifying and sad".